Go Get It pays homage to the early hip-hop pioneers and takes you back to a time, when Will Smith was the fresh Prince of Bel-Air. If it weren’t for the occasional lyrical references to hashtags or Kanye songs, one might think this song came out in the early 90s. A hypnotic beat of Zen bowls and kicking drums will beam you back into that time. Go Get It is an ode to youthful optimism. With lyrics like “Me, yo, who knows what I’ll become soon in the future, word to Confucius, if you’ve got a gift then you better let it use you”, the song makes you feel like you are that wild young one again. “Move It.” The title says it all for this uptempo track that will have you moving from the moment the bongos and brass instruments strike on the Brazilian rhythmic beat. . “Move It” is a breath of positivity, good energy, and a modern hit that you won’t want to miss out on. 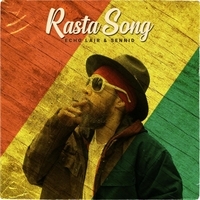 Rasta Song is an upbeat, yet groovy, roots reggae tune by producer Echo Lair in cooperation with Soundcloud legend Sennid as singer and lyricist. The track shows subtle signs of Echo Lair’s earlier foray into dub and drum & bass as well as hints to electronic music. Rastafarian reggae singer Sennid provides the melodic vocals, that often dip into a deep, raspy range and would not sound misplaced on a Shaggy album. It works remarkably well on this reggae track. “Ain't Givin’ In” is the first Rap/Hiphop release from German music producer, Echo Lair. Echo Lair’s blended style illuminates the track with an uptempo hip-hop beat intertwined with electronic and melodic jazz elements. “Ain’t Givin’ In” is glittered with anecdotes that provide hope amidst a chaotic world and political climate, and delivers a positive message to younger generations to feel empowered to make a change. This release is a breath of fresh air from today’s modern rap and pop music and will leave you feeling inspired to make a difference. © 2019 Echo Lair. All Rights Reserved.